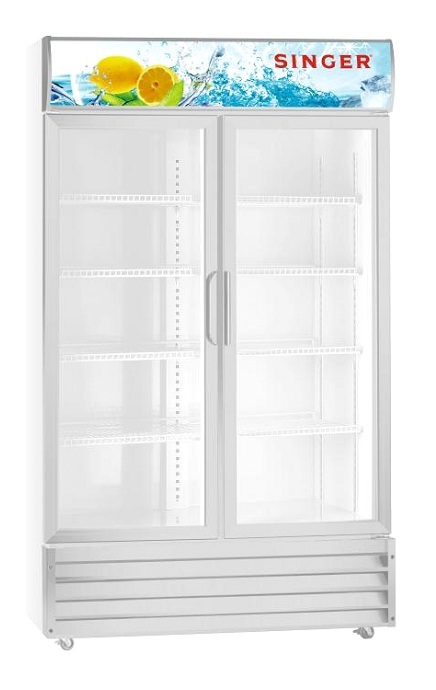 We are pleased to introduce our new 230 Liters Chiller Display Cabinet (Model: CDC2211), replacing model CDC2210. This model comes with Better Cooling Performance (0˚C ~ 10˚C), LED Lamp and Door Lock. Upgraded to LED Lamp, better cooling performance (0°C ~ 10°C) and easy maintenance with sliding deck compressor. Comes with double tempered glass door, auto defrost, door lock, mechanical thermostat & digital temperature display. Equipped with better Cooling Performance, Double Tempered Glass Doors, Auto-Defrost, Electronic Control System, Digital Temperature Display and Door Lock. Target potential customers such as restaurants, cafés, food stalls and F&B outlets.